The Middle East and North Africa (MENA) has the lowest female employment rate of anywhere in the world. Though most countries in the MENA region, including Libya and Iran, have seen gradually increasing rates of working women, Morocco’s female labor force participation (FLFP) rate has actually decreased since 1999, now sitting at 26 percent, according to Brookings. This decline not only contradicts global and regional trends, but also comes despite significant efforts both by the Moroccan government and NGOs to increase women’s education, in hopes of improving their employment opportunities. The World Bank estimates that higher FLFP rates could result in a 25 percent average increase in household income, something which would dramatically improve the lives of men, women, and youth in the region. Women’s education programs are excellent endeavors that change lives and promote equality, especially considering the high illiteracy rates of rural women. However, education alone is not the solution to low FLFP. In Morocco, according to the World Bank, women comprise 47 percent of the population holding a tertiary degree of some kind, and yet the vast majority remain marginalized from the workforce. Similar statistics showing high education and low employment for women are prevalent throughout the MENA region. The issue is not unemployment for women, but complete inactivity in the workforce. Morocco World News reports that over 70 percent of Moroccan women have simply left the workforce; they are neither employed nor searching for work, though one third of these women possess degrees that would qualify them for well-paying jobs. In a Brookings survey, urban women aged 15 to 29, who were either in school or recently graduated, were asked if they were working or planning to work upon graduation. The vast majority of respondents said no, and were asked for their reasoning: 45 percent listed family opposition, while 30 percent said they were too busy with responsibilities at home. 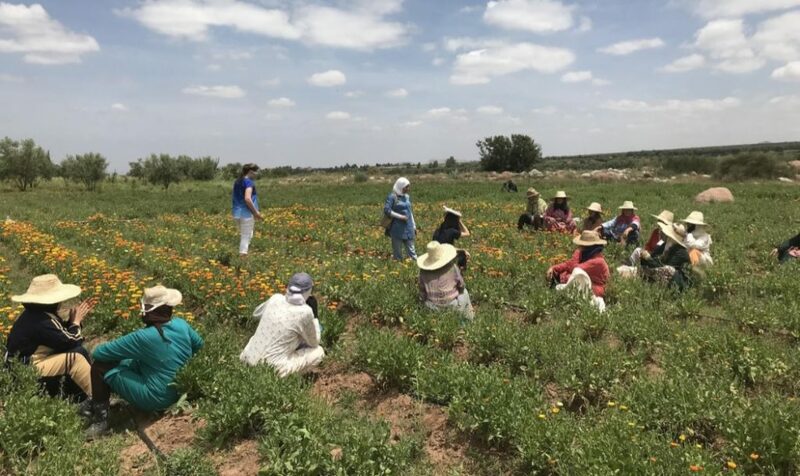 Though lack of education is certainly a problem in Morocco, particularly among rural women, it is clear that it is not the only barrier to female employment. Neither is legal restriction; though the MENA region does have the highest number of constraints on women in the world – making it difficult for women to attain the social, political, and economic agency necessary to participate in the workforce – Morocco is somewhat of an exception. In 2004, Morocco enacted a progressive reform to its code of family law (Moudawana) to promote equality in the rights of women and men.